Oh how adorable…can I come over to play too? Here’s where we need the ‘love’ button. SO cute! We play Uno here and our critters are always very engaged! Probably more for the snacks than the cards! 🙂 Aww Dewars!! 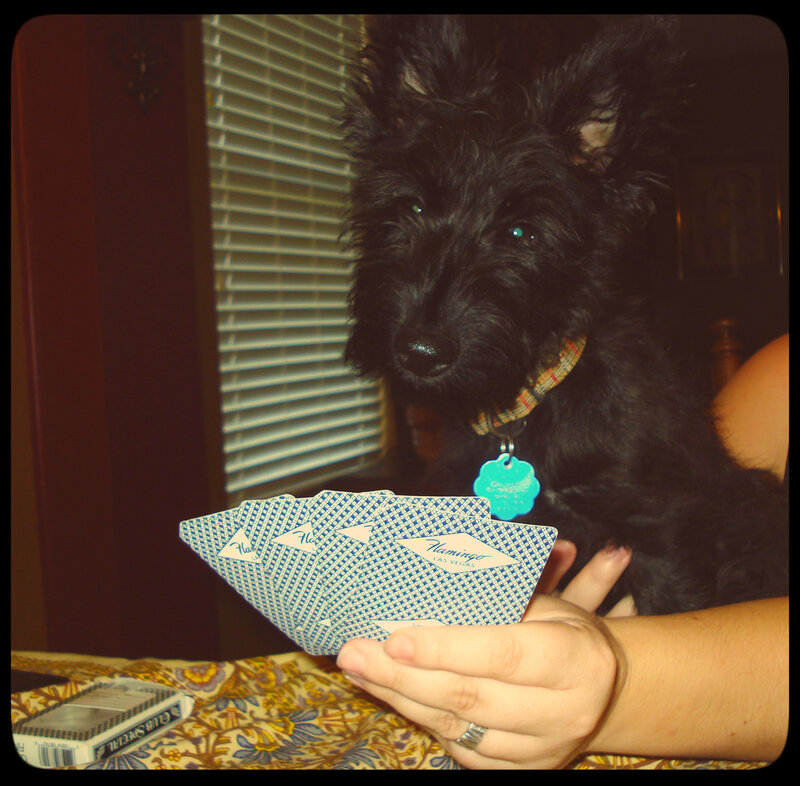 This entry was posted on November 6, 2013 by Jessica Romigh in Wordless Wednesday and tagged cards, cribbage, Dewars, dog, puppy, Scottish Terrier.